Azerbaijan has stepped up security measures following a deadly terrorist attack that hit Istanbul’s Ataturk Airport. Security measures have been tightened in airports, railway and bus stations of the country. 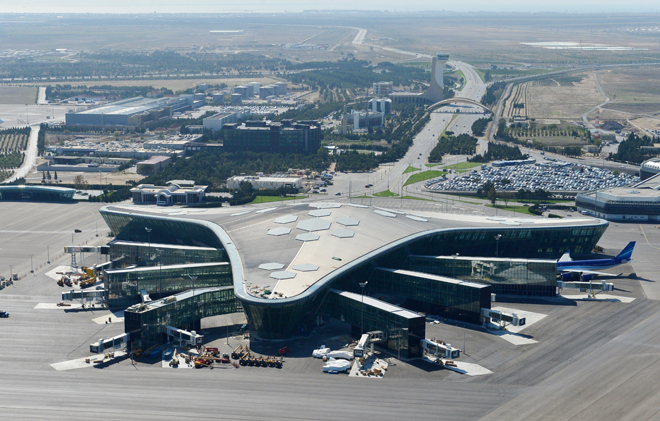 AZAL press service head Pasha Kesamanski, talking to Trend, said that the security measures at Baku’s Heydar Aliyev International Airport, as well as at Azerbaijan’s regional airports have been enhanced in accordance with internal procedures. “Enhanced screening at the entrance to the airport’s terminals, inspection of facilities and planes have been organized,” said Kesamanski. Azerbaijan Railways has also switched to enhanced mode of security following the recent developments in Turkey, said Nadir Azmammadov, the company’s spokesman. The company has made a decision on strengthening of patrolling and inspection procedures at the territories of railway stations and platforms, as well as trains and railroad bridges of the country. The changes are made to ensure security and comfort of the citizens. Three suicide bombers launched a major attack at the Ataturk Airport last night, spraying bullets into crowds of terrified passengers and security personnel before blowing themselves up, injuring more than 147 people and killing at least 36. The “Islamic State” (IS, ISIS, ISIL or Daesh) terrorist group stands behind the attack, according to preliminary information.